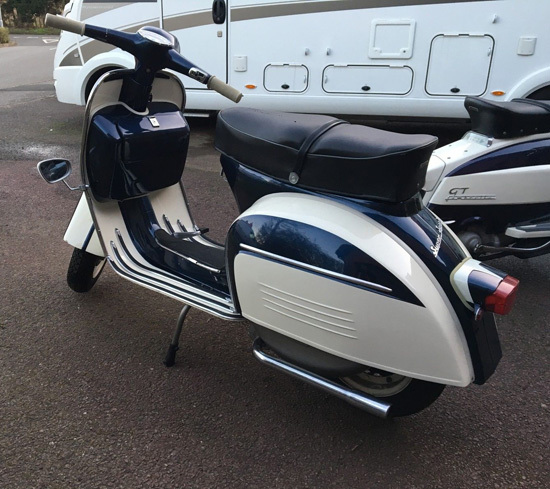 A couple of days left and despite high bidding, this 1966 Vespa SS180 Eddy Grimstead 200 Replica scooter still hasn’t hit its reserve. 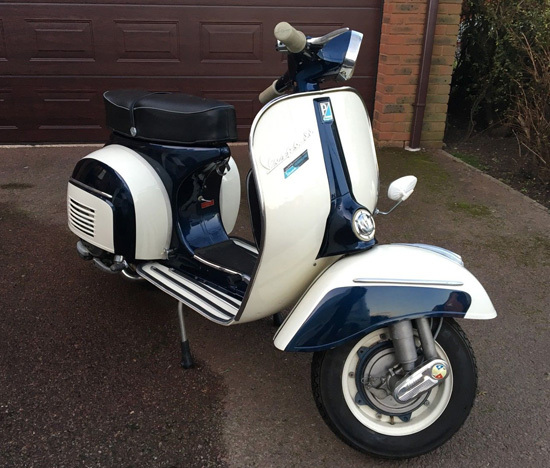 Interesting scoot and an interesting story behind it too. 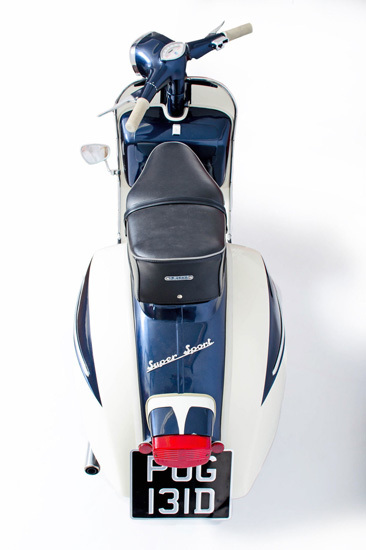 A prize winning Vespa in its native USA, this was ‘meticulously’ restored / built by Jim Stroffregen of Scooter Source, consulting with Eddy Grimstrad himself about the detailing. 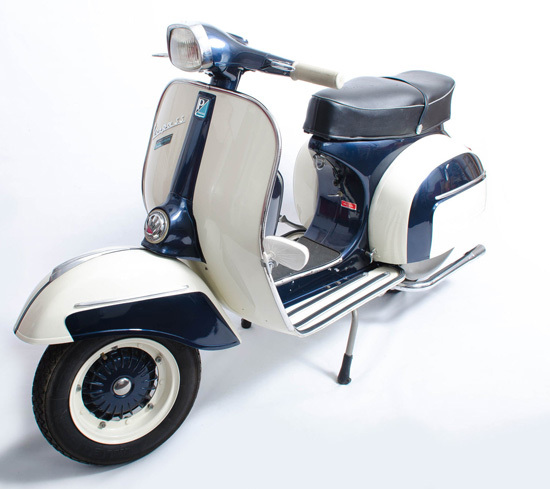 The current owner then attempted to buy it, which he eventually did when the scooter made its way to Milan. 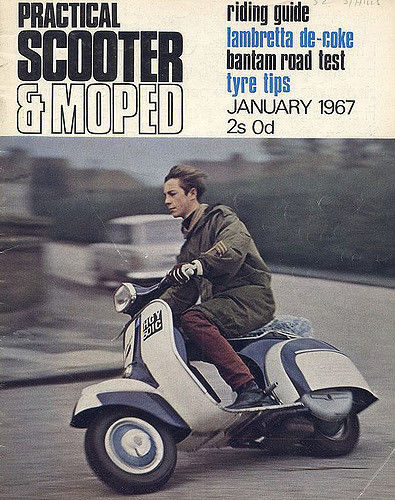 The finished Vespa is based on the front cover of Scooter and Moped magazine (see below), with the engine converted to 200cc and with a variotronic ignition system added. 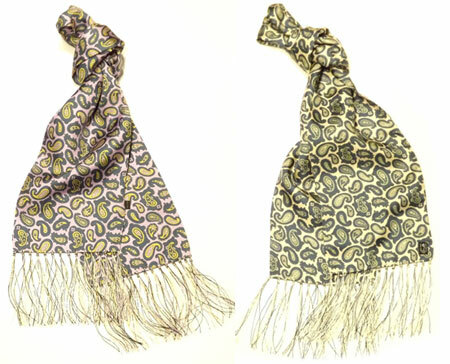 More images and details on the listing if you are interested. If you are, you will need deep pockets. 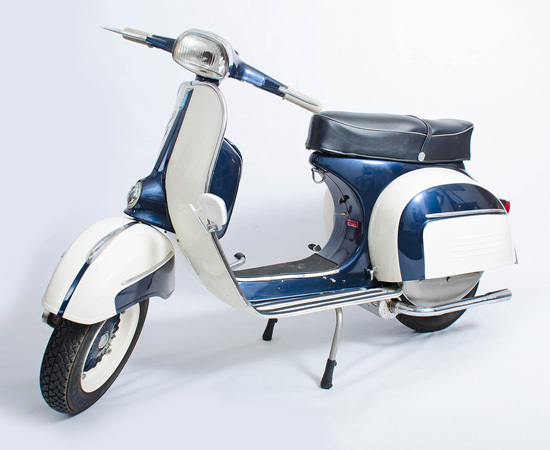 Bidding has pushed up to £6,350 for this and still the reserve hasn’t been reached. As I said, a couple of days left to pick it up.